Major League Soccer announced this week that a lease was officially signed. Austin will be the 27th franchise that was kicked off with a party downtown Tuesday. It is expected that Austin will join the 2021 soccer season. 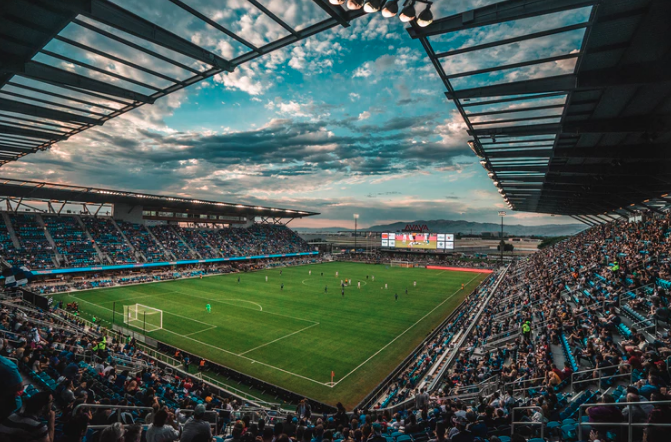 “Austin is a thriving metropolitan city – the embodiment of what we mean when we say MLS is a ‘League for a new America,’” said MLS Commissioner Don Garber in a press release. “We are extremely proud to be the first major professional sports league to become part of the fabric of this important and thriving American city. Austin Mayor Steve Adler signed a lease with Austin FC Chairman Anthony Precourt to provide land for a privately-funded $225 million stadium. The Austin FC stadium will be an open-air facility with a grass playing field on land that has been vacant for 25 years. This will be the first major league team in Austin. Historically, Austinites weren’t fond of funding sports teams. There is already an FC Dallas and FC Houston. Last year, citizens in Austin resisted the attempt of the Columbus Crew, owned by Anthony Precourt, to move here. Not only did Anthony’s attempt to bring the Crew to Austin upset Austinites but it angered Ohio Columbus fans as they fought to keep their team. Anthony was threatening to move the team to Austin because the citizens of Columbus wouldn’t approve a new publicly-funded stadium. The Columbus Crew is now under new ownership. This new sports team will definitely change the feel of Austin. It’s yet to be determined if the city will accept these new changes. Thank you for visiting the Jarvis, Garcia & Erskine blog, a Travis County criminal defense law firm. We write to inform locals about law changes, news and events.